Dr. Westin Childs Supplement Rewards Program - Earn and Save! Dr. Westin Childs Supplement Rewards Program – Earn and Save! We are happy to announce that we have a loyalty and rewards program! This program is designed to reward those people who frequently purchase from us. Each purchase you make you will receive points. You can then redeem those points on your next purchase for a discount on the total price. Earning rewards points is simple! Each dollar you spend you will earn you 5 points. 100 points can be redeemed for $1 off your next purchase. 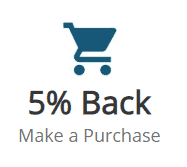 If you do the math this results in 5% cash back on every purchase you make! 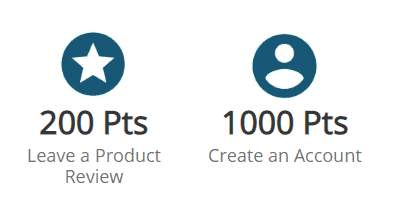 You will earn 1,000 points for creating an account (on your first purchase) and you have the opportunity to earn 200 points for each product review you leave! There's no catch! We just want to provide you with an awesome rewards program! Once you create an account you can log in to see your points. If you already have an account you can access it at by going to https://www.restartmed.com/my-account/. Your points will be updated here so you can keep track of them! How do I redeem my points for a discount? On the checkout page, you will see the number of points you are earning for your purchase. 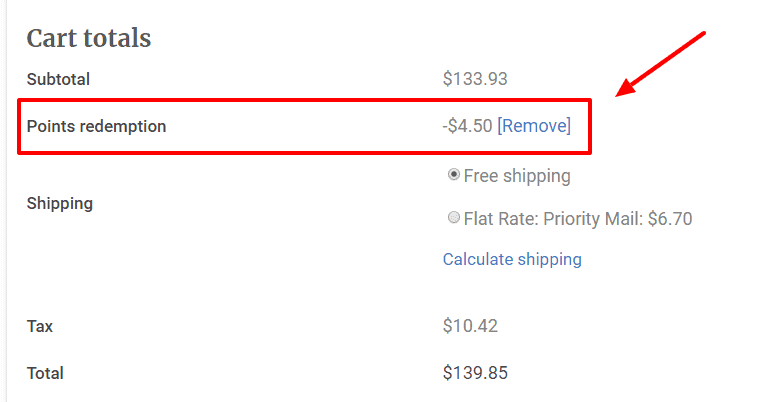 By hitting the "Apply Discount" button you will automatically apply the discount to your entire order. Continue with your checkout as normal to obtain the discount and to earn points on that purchase as well. How do I see how many points I am going to earn for a purchase? 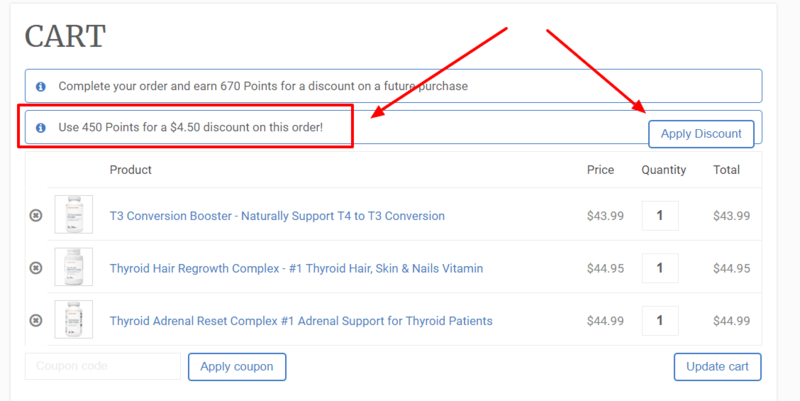 On the checkout page you will see a header which will tell you exactly how many points you are going to earn for your purchase. To obtain these points make sure you are logged in to your account! (Create one if you haven't already). Points are calculated based on how much you spend. The points you earn will result in a 5% cash back discount on all future points. Each dollar you spend will earn you 5 points. Redeem 100 points for $1 off your next purchase. If you are logged in to your account, and you have points available, you have the option to apply those points to your total on the checkout page. Applying the points will directly reduce the cost of your total order based on how many points you have available. The discount will be applied directly to your cart. I have enough points to cover my entire order but still see a balance, how come? Unfortunately, our points cannot be applied to taxes or shipping costs! But they will cover up to 100% of the cost of our supplements if you have enough points. You will be prompted on the checkout page to create an account with your order. Creating your account will result in 1,000 points which can be used on your next order. If you don't already have an account you can create one from this page. Nope! It is completely free to join. Anyone! The program is open to all those who wish to join. Please note that this program is not available for wholesale accounts or for physicians who sell our supplements. Periodically we increase the points that you can earn based on special events or promotions. You can sign up for our email list to be notified of these events. How can I get points for leaving a review? In order to obtain points for leaving a review you must be logged into your account! If you left a review and you weren't logged in then simply email us and we can apply to points you missed directly to your account. Nope! Your points do not expire, but we recommend that you use them as soon as possible. Please feel free to reach out to us at [email protected] and we can help you out!